We’d love your help. 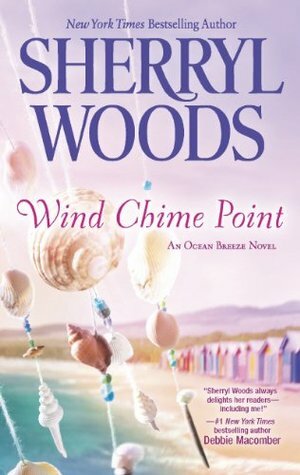 Let us know what’s wrong with this preview of Wind Chime Point by Sherryl Woods. 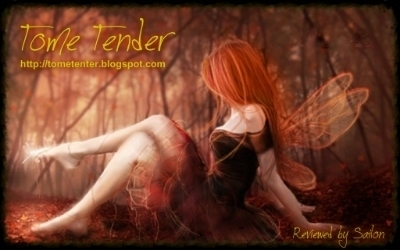 To ask other readers questions about Wind Chime Point, please sign up. I liked this story but I didn't fall in love with it. Gabi finds out she is pregnant and the father wants nothing to do with her and the baby. On top of it all she looses her job. Wade is a great guy and has liked her from the moment he met her but it turns out he has a past for saving pregnant heroines. I didn't see the chemistry between these two in this book like I did in the first book. These two bond and try being friends, they share a few kisses but overall that is it. The baby is born and I liked this story but I didn't fall in love with it. Gabi finds out she is pregnant and the father wants nothing to do with her and the baby. On top of it all she looses her job. I loved this book just as much as I loved the first one in the series, Sand Castle Bay. Here we have Gabi, the driven one in the family, who is facing the total upending of her life. Instead of looking at a possible vice-presidency in her company and a successful relationship with her boyfriend, she is pregnant, her boyfriend has rejected her and the baby, and her conservative company doesn't want anything to do with an unwed mother. Uncertain of what to do, Gabi goes home to Sand Castle Bay and I loved this book just as much as I loved the first one in the series, Sand Castle Bay. Here we have Gabi, the driven one in the family, who is facing the total upending of her life. Instead of looking at a possible vice-presidency in her company and a successful relationship with her boyfriend, she is pregnant, her boyfriend has rejected her and the baby, and her conservative company doesn't want anything to do with an unwed mother. Uncertain of what to do, Gabi goes home to Sand Castle Bay and the loving support of her grandmother and sisters. One of the first people she sees is Wade, the carpenter who had helped with storm repairs in the previous book. There had been some sparks between them that Gabi ignored because she was content with her life. Wade didn't push because he could see that she wasn't interested. But Wade is completely smitten by Gabi and had spent a lot of time just watching her and paying attention. Now he sees his chance and quickly talks her into dinner and a movie as friends - at least for now. I loved the development of their relationship. Wade is incredibly patient, apparently content to be Gabi's friend for as long as it takes for her to return his feelings. He is an awesome friend, willing to listen without judging, helping her move through her doubts and uncertainty. While he makes it clear that he is her friend, he also lets her know that friendship isn't the only thing on his mind. I loved seeing how well he understood her and offered support without trying to tell her what she should do. Gabi is wary of Wade at the beginning. She has enough on her plate without trying to add a new relationship into the mix. I loved seeing how quickly she became comfortable with him, willing to share thoughts and fears that she doesn't tell anyone else. She isn't quite sure what to do about the attraction between them. She's not sure that she trusts her own feelings, with everything that is going on with her. And she also isn't sure if she can trust that what he feels is real and not just his need to care for the people around him. I enjoyed the slow buildup of her feelings until she finally realized the truth. Her "ah-ha" moment was pretty funny. The ending was sweet and romantic. Wade lost his wife and their unborn child in an accident. Now he is starting to live again, she is drawn to Gabi Castle. He knows he must be patient and careful with Gabi and her fragile state. So will Wade loose his heart once again when he puts it on the line or will Gabi see what is right in front of her? Wind Chime Point is a sweet, wholesome, heartfelt love story! Beautifully descriptive, Sherryl Wood captures the soul of a town everyone wants to call home. The characters are fascinating and real, their struggles relatable and the romance sweet and tender. This is a perfectly enjoyable love story that will warm your heart. This ARC copy of Wind Chime Point was given to me by Harlequin MIRA in exchange for a honest review. This book is set for publication April 30, 2013. Fabulous beach read. The conflict is low-key and the plot is a lazy jellyfish bobbing up and down. But the characters are sympathetic and the coastal small town is charming. I took it on vacation and my copy is now full of sand. A feel-good book. Wind Chime Point is the second in Sherryl Woods' series: Ocean Breeze. Same characters and setting (North Carolina shore) as Book One: Sand Castle Bay, yet I found this to be much more engaging and fun. It's a light, quick read, just perfect for summer. I'm looking forward to the third in the series: Sea Glass Island. Enjoy! I knew at the end of the last book that something was going on with Gabi. She was withdrawn and not talking to her family and in this family that is just cause for the meddling to go in to overdrive. This book is of course Gabi's story, it's the story of a person so work driven having to find herself after the job she thought she loved not being there anymore. Facing a pregnancy that she wasn't expecting with a man that wants nothing to do with the baby. She goes where she knows love will surrou I knew at the end of the last book that something was going on with Gabi. She was withdrawn and not talking to her family and in this family that is just cause for the meddling to go in to overdrive. This book is of course Gabi's story, it's the story of a person so work driven having to find herself after the job she thought she loved not being there anymore. Facing a pregnancy that she wasn't expecting with a man that wants nothing to do with the baby. She goes where she knows love will surround her, Sand Castle Bay. Her family welcome her back with open arms like always. Leaving her to find her own way on a new path. What Gabi didn't expect was being faced with Wade. Wade is a carpenter, and an artist. He's easy going and patient. He knows what he wants and it seems that Gabi is it, has been from the first time he saw her during the summer when she came to help her grandmother get her restaurant back in working order after a hurricane hit the beach town. Now shes back and shes pregnant. It reminds him of things he'd rather kept in his past but he can't get past his attraction to Gabi, and the eventual love he develops for her and baby. WIth this book, the story starts right off and you learn all the 'stuff' that Gabi is having to deal with all at once - she has been forced out of her job - after they found out she was pregnant - and the baby daddy has decided that after five years with Gabi that this is her mistake to handle. So Gabi does what anyone would do - goes home to heal in the arms of her family. The three sisters are very loyal to one another and actually very level headed despite their absentee father and deceased m WIth this book, the story starts right off and you learn all the 'stuff' that Gabi is having to deal with all at once - she has been forced out of her job - after they found out she was pregnant - and the baby daddy has decided that after five years with Gabi that this is her mistake to handle. So Gabi does what anyone would do - goes home to heal in the arms of her family. The three sisters are very loyal to one another and actually very level headed despite their absentee father and deceased mother. I think their Grandmother Cora Jane gets a lot of kudos for that. Emily is quite happy with Boone (Sand Castle Bay, Ocean Breeze #1) and would like to see her sisters happy as well. Of course, Cora Jane had to do some meddling in the first book to get things to turn out the way she wanted them too. So when Gabi shows up with her unexpected news, and local widower Wade Johnson has been stopping by since the hurricane just to pick up any news on Gabi, Cora Jane decides they might need some help. Absolutamente maravillosa. La he disfrutado desde la primera página hasta la última, los personajes están llenos de carisma, es fácil empatizar con ellos y disfrutar y sufrir con sus aventuras y desventuras. Tanto Gabriela como Wade son impresionantes, únicos, un libro para recordar, sin duda. La narración es muy ágil, resulta fácil leerlo y una vez que lo empiezas es imposible parar. Yo lo he leído de un tirón, sin parar. Me he levantado a encender la luz y nada más. Me ha gustado tanto que lo r Absolutamente maravillosa. La he disfrutado desde la primera página hasta la última, los personajes están llenos de carisma, es fácil empatizar con ellos y disfrutar y sufrir con sus aventuras y desventuras. Tanto Gabriela como Wade son impresionantes, únicos, un libro para recordar, sin duda. It took me twice as long as normal to read this book because it was just so predictable. Plus, I hated how Woods presented her female characters. Another wonderful book by Woods! As always, I can't wait for the next one! Book two in this series of three. I enjoy listening to these stories on m y commute back and forth to work, but even I admit they are very cookie cutter. The last series of books I read by Ms. Woods all use the same basic outline: close families, the elder matriarch the biggest meddler in getting couples together, and the following sayings/words are used in every single book so much they're a bit annoying: "absolutely not!" "Adirondack chair" "Oh sweet heaven" among others. In any event, in this Book two in this series of three. I enjoy listening to these stories on m y commute back and forth to work, but even I admit they are very cookie cutter. The last series of books I read by Ms. Woods all use the same basic outline: close families, the elder matriarch the biggest meddler in getting couples together, and the following sayings/words are used in every single book so much they're a bit annoying: "absolutely not!" "Adirondack chair" "Oh sweet heaven" among others. In any event, in this story we learn about middle sister Gabriella. All at once she ends up knocked up by a friend with benefits even though birth control was used. And because she is an unmarried knocked up woman, her job basically makes it hard for her to stay in her current position so they give her a severance package and she's unemployed. Not to mention her friend w/ benefits Paul decides the baby not even be his and if it is, he's not wanting anything permanent or to be a father. So back to Sand Castle Beach she goes to stay with her Grandmother Cora Jane. It's her grandmother who puts her matchmaking skills to bat to get Gabby and Wade together. Wade is a professional custom cabinet maker and Cora Jane puts him to work just to have him around. He had a huge crush on Gabby last time she was around, (in book 1) and now when she is back and pregnant, he doesn't know what to think. When they talk he finds out the father isn't in the picture and he immediately asks her out. So in this book, it's mostly self discovery for Gabby to find out what she wants in life. She knows she doesn't want to go back to the kind of job she had where she worked herself to death. She is grateful to have Wade around and he's a good friend to her. She knows he wants more, but with a baby on the way and unemployed, she wants to figure out her life first. One day while shopping w/ her sisters, GAbby finds a windchime and thinks she may want to make them for a living. Gabby's sisters are also present in this story. Emily getting ready for her wedding to Boone is in and out of the story as well as actress Samantha, who is finding it hard to find work after turning 35, which is ancient in the world of actresses. She's not sure what to do with her life if she cannot get anymore acting jobs, (this sets up the reader for her story in book three). I had randomly picked up this book and I was pleasantly surprised by how much I enjoyed it. I like how the story developed at a good pace, there were lots of character development, the romance wasn't rushed and there is a lot of meaningful stuff (like just because you lost your job, doesn't mean it's the end, you can find what you are passionate about given time and family is so important!!!). Gabi is pretty much burned out when she returns to her grandmother's home, with a lot on her mind and na I had randomly picked up this book and I was pleasantly surprised by how much I enjoyed it. Wade has been attracted to Gabi ever since he first saw her months ago, but Gabi has no interest, but luckily Wade is the patient type and well....with Grandma on the side with her not so subtle hints.... who knows maybe Gabi and Wade really are meant to be. Gabriella Castle, has found herself in a crisis, she is pregnant, dumped and jobless. So she returns to to the small town on the North Carolina Coast and her welcoming family. Gabi finds herself in turmoil because her whole world has gone topsy turvy and she wants the serenity of her sisters and her meddling grandmother. Gabi has to make decisions in what to do with her life and if she will even keep this baby or give it up for adoption. Her plate is so full that the last thing she wants is a ma Gabriella Castle, has found herself in a crisis, she is pregnant, dumped and jobless. So she returns to to the small town on the North Carolina Coast and her welcoming family. Gabi finds herself in turmoil because her whole world has gone topsy turvy and she wants the serenity of her sisters and her meddling grandmother. Gabi has to make decisions in what to do with her life and if she will even keep this baby or give it up for adoption. Her plate is so full that the last thing she wants is a man with forever on his mind to start hanging around. Be 2 of Ocean Breeze trilogy focuses on Gabi/Gabrielle, the middle of the three Castle sisters, who discovers she is pregnant, despite birth control, the father wants nothing to do with her or his baby, and the Raleigh NC biomedical company she spins PR for fires her for not upholding their morals expectations. She arrives at her grandmother, Cora Jane, joined there by her older and younger sisters, Samantha and Emily. For once without plans, considering giving up the baby for adoption by two lo Be 2 of Ocean Breeze trilogy focuses on Gabi/Gabrielle, the middle of the three Castle sisters, who discovers she is pregnant, despite birth control, the father wants nothing to do with her or his baby, and the Raleigh NC biomedical company she spins PR for fires her for not upholding their morals expectations. She arrives at her grandmother, Cora Jane, joined there by her older and younger sisters, Samantha and Emily. For once without plans, considering giving up the baby for adoption by two loving parents, having Wade Johnson, who has had his eye on her months before, takes her under his wing, asking the questions she needs to answer, providing friendship and support, as she copes we baby, no job, no future and who encourages her to listen to her own heart, try things that interest her and find the future that makes her happy. Very predictably, sweet romance perfect for a rainy day curl up. One more BK follows-Sea Glass Island. It took me way too long to read this book and it just irritated the heck out of me. I liked Gabi in the first book but here she was boring. Wade was also boring and I felt zero chemistry between them. I also did not like nor respect the portrayal of Paul, Gabi's ex and baby-daddy. And I do not get the unadulterated worship the characters have for Cora Jane. I would not want that woman meddling in my life. All in all, this was a boring, predictable (like SO predictable) b Spoilers Below! BEWARE!!! It took me way too long to read this book and it just irritated the heck out of me. I liked Gabi in the first book but here she was boring. Wade was also boring and I felt zero chemistry between them. I also did not like nor respect the portrayal of Paul, Gabi's ex and baby-daddy. And I do not get the unadulterated worship the characters have for Cora Jane. I would not want that woman meddling in my life. All in all, this was a boring, predictable (like SO predictable) book and it suffered from a dragging plot and boring leads in Gabi and Wade. Part of me really wanted the book to end with Gabi deciding that she would raise the baby on her own with no help from anyone. And no matter what excuses Woods came up with, Wade's interest in Gabi and her child DID feel like a repeat of him and Kayla and her child. Gabriella worked at PR in Raleigh but, she got pregnant by Paul whom she worked with and got demoted by her boss Amanda. She was in a relationship with Wade for a couple of months. They both make a cute couple and maybe might have two more babies in the future on the next couple of series in this book. She got her beautiful baby girl and her Danilla Jane just before Emily's wedding. Samantha always wanted to be an actress in New York, but, she don't have enough roles to h I really love this book! Samantha always wanted to be an actress in New York, but, she don't have enough roles to hpget her going. Gabi helped her get the new auditions what she wanted to be. Emily is getting married to Boone in the summer and living Los Angels. Boone worked at his own restaurant. She loves her two sisters and grandmother Cora Jane very much. Gabi finds herself pregnant, out of a job and the Father of the baby wants nothing to do with the baby. She returns home to figure out what to do with her life. Wade has had his eye on Gabi for awhile and her pregnancy is not an issue for him, but convincing Gabi might not be so easy. This is a sweet love story about second chances and family standing together. It would be perfect for a lazy afternoon on the beach or in front of a fire on a cold winter night. I think this book is better than #1 in the series. It was a very fast, easy read. Being familiar characters, it was easy to fall into the story. Cora Jane is her same old bossy ,independent self but hopefully changes are coming for her. Gabi and Wade’s story echoed Boone and Emily’s, but was not so drug out. I was happy that the girls’ father has become involved in their lives again. Looking forward to book #3! Se trata de una novela romántica entretenida y fresca. Los personajes tienen una personalidad marcada, sin embargo, no se hacen demasiadas referencias a su aspecto físico, lo cual ha hecho que me costase un poco hacerme una idea exacta de su apariencia física. El final me ha resultado bastante predecible y el desarrollo de los acontecimientos algo plano. Gabi discovers she's pregnant. Her boyfriend reacts badly. Turns out they weren't as close as she thought. She moves back to her grandmother's home. A local boy falls for her. She quits her high stress job, tries her hand at art, decides she has no talent. Starts an art gallery instead. She falls for the local boy. Everyone lives happily ever after. Love the Ocean Breeze Series! Although Emily, Boone, and Samantha all have roles in this novel, the focus is on the middle sister, Gabriella. In this story she finds herself returning to Grandmother Cora Jane’s home, suddenly jobless and with another unforeseen situation. Read this and enjoy! Book 2 in this series and I'm ready to pack my bags and move there! Good story and I'm loving the characters. Wind Chime Point is so beautiful in so many ways. The scenery sounds so lovely that it makes me want to go to the beach and watch the waves. The people or cast of characters are so warm and welcoming on the most part. Gabi's family is behind her and some are pushing her one way or the other out of love. Gabriella has always known what she wants and plans it down to a degree. She has had a strong desire to suceed and make her father proud of her. Now her life is in a mess. She realized she is pregnant, told the father and he wants no part of it,told her boss and got fired. Now she is telling her family. She has come to her Grandmother and Sand Castle Bay where she and her sisters spent every summer growing up. Wade Johnson works with wood. Gabi's grandmother has tried to get them together. Wade realizes it and is attracted to Gabi even though he knows she has a boyfriend. Wade did some work at her cafe after the hurricane did some damage. He comes in daily for pie and a little news of Gabi. When Gabi come into the cafe to see her grandmother and surprised to see Wade. He sees she is pregnant and gets her to sit and talk to him. When he hears that the father is not in the picture, he gets Gabi to agree to go out with him to dinner & a movie as friends. Gabi is having a hard time making up her mind what to do next. Should she give the baby up for adoption? Get in a new field of work? Ask her father for a job? She lets Wade keep distracting her from making new plans. Gabi gets the idea that she wants to learn how to make wind chimes. Emily her sister keeps flying into town to make wedding decisions with her family. She is happy and her fiance is opening up a new restraunt on the west coast to be with her for now. Samantha is wondering if she should give up being a actress. She is at a age where it is harder to get good roles. Her Grandmother is finding a guy for her too. It is a good family to have around when things are out of control. This is a good clean read. The road of discovery that Gabi goes through as she tries to figure what to do with her future. Wade in being a sounding board and letting Gabi find her way but still let her know that he wants to be part of her future is good to see. I can't wait to see what happens in the third book of this series. I really like Sherryl woods books. I was given this ebook to read and asked to give honest review by Netgalley.